Ok, maybe you're not single. 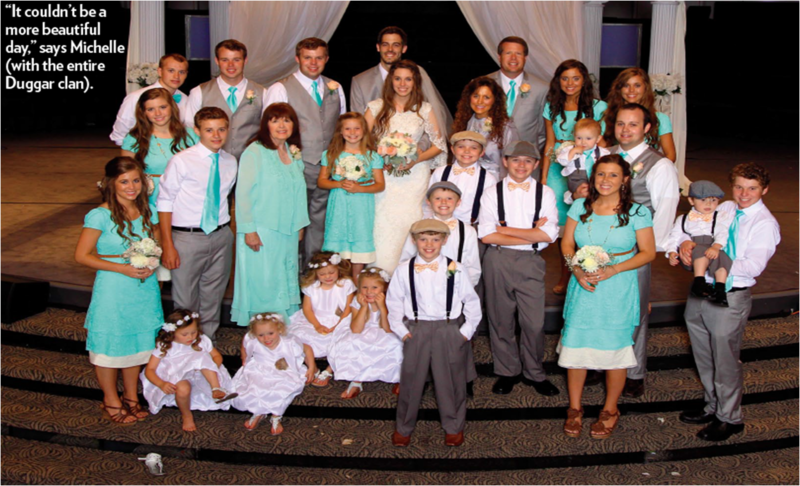 Maybe you're happily in love or whatever, but everyone else: JILL DUGGAR IS MARRIED AND YOU'RE SINGLE. I missed an hour because I was watching Taylor Swift on The Voice (She doesn't really do anything on that show, but I'm a loyal friend I can say friend because she liked my Instagram photo, so I watched). Where I came in was Jill and Derick holding hands, reading the Bible, except not really reading the Bible because they were too busy talking about how much they like each other and I was like I'm three minutes in and I can't. While they're getting ready in separate rooms before the wedding, Jill sends a note to Derick via Jackson. Derick then sends a note back to Jill via Jackson once again. Then Jill is like No, I really need to know I'm his girl and I miss him, so she sends Derick another note via Jackson again. POOR JACKSON IS A FREAKIN DELIVERY BOY. AND HE'S LITERALLY WEARING A NEWSBOY CAP. LIKE OK.
jackson is somewhere in there. 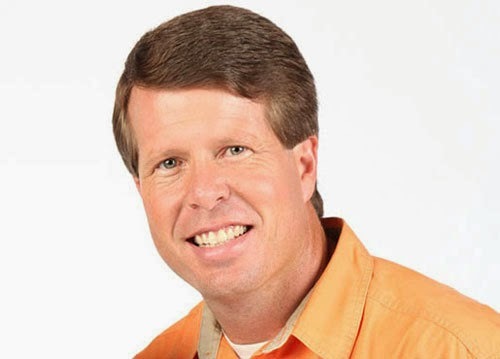 Jim Bob somehow wanders into the girls' room, where all of the Duggar women are getting ready and I'm like JIM BOB CAN U NOT?! get out of the women's changing room, jim bob. He tells Michelle she's a hot mama in her mother-of-the bride dress, which any MOTB dress is the ugliest dress and I don't understand why they exist. Like why can't you just wear a normal dress???? Jills gets dressed in her white wedding dress and Michelle sees her and says, "Derick is just gonna....."
IMPREGNATE YOU TONIGHT???? BECAUSE THAT'S WHAT HE DID. IF MY MATH IS CORRECT, WHICH I HAVE A COLLEGE DEGREE, from Texas Tech but that's neither here nor there THEN DERICK KNEW WHAT HE WAS DOING THAT NIGHT. Jill and Derick have their first look and I'm like LOL, they can't even hug. They're getting married and they haven't even had a frontal hug. OK SOMEONE PLEASE COME SAVE ME. I AM WAY TOO CYNICAL FOR THIS SHIZ. The entire family talks about Jill and Derick's first kiss in their confessional interviews and Jim Bob compares it to a present on Christmas morning and I'm like why. Why would you use that analogy? OH, THEN YOU'LL LOVE THIS INTERVIEW, JOHANNAH. YOU'LL LOVE IT. LOOK AT HER HAND ON HIS LEG. RUBBING UP AND DOWN. Jill prepares to walk down the aisle and all of the sisters are crying and I'm like I can relate. Weddings are sad. I've never felt happy at a wedding. Ever. Like no matter who it is, I always feel sad. The music doesn't help because it's always so somber. And then I look at the bridesmaids dresses and I'm like seriously? It's 2014. Do grown women still need to dress alike and stand there crying because they know they'll never see their friend again? "Do I have to give you away?" -Jim Bob. Yes, Jim Bob. This was your plan, if you don't remember. Remember when you flew her to Napal to meet this guy? You can't just break up with a guy after traveling across the world to meet him. I feel bad enough ending things after ice cream. They exchanged their vows. The little girls were sitting on the steps and at some point, Josie got so bored, she just walked off. As much as I hate you, Josie, I can't blame you. If it's boring in person, how do you think it's via the TV? NOT FUN. They said 'I do' and Jim Bob says "Derick, you can now kiss your bride." AND THEY KISS. AND IT'S AWKWARD LIKE ANY COUPLE'S FIRST KISS. 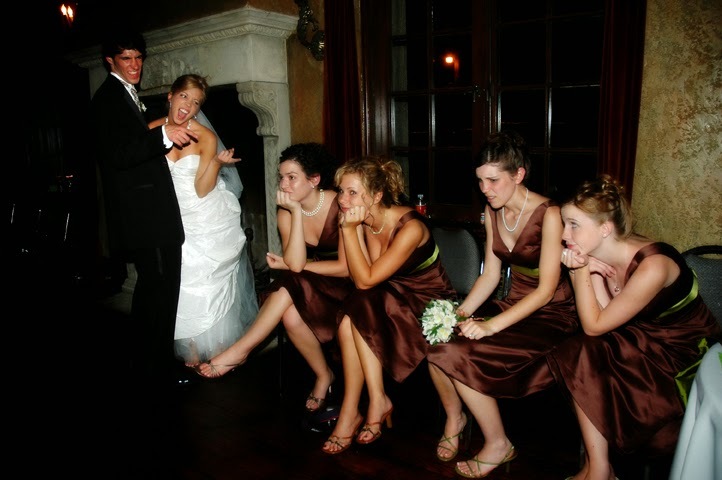 Derick went for it and Jill was hesitant and she kind of turned her head, while Derick was like WE'RE DOING THIS. And then, I'm not exaggerating when I say this, Jill and Derick RAN out of the church. They grabbed each other's hands and ran out the door. And they kept running. Something happened with Jill's dress and someone tried to fix it, and Derick was like NO I'M HORNY. RUN. They ran to some room I'm guessing to touch each other????????????????????? I don't know???????? What do couples do after getting married when they've never even hugged??????????????? The producers interviewed them and everyone did their confessional interviews and they all said, "Practice makes progress and progress makes babies." SOMEONE PLEASE HELP ME. ANYONE. SAVE ME FROM THIS. SAVE ME FROM MYSELF FOR WATCHING THIS SHOW. IS ANYONE EVEN THERE??? The reception happened. Then it ended and thank you, Jesus. Okay - are those accents or just childish lisps/speech impediments. They talk like they are fourteen. I mean, they basically are. But you know. Also. WHY DO THE DUGGARS HAVE TO THEME EVERYTHING. I hate my life for the level of passion I feel when reading this nonsense. ya. jill and derick just talk funny. Also hey Jill - is Derick amazing or is he amazing? Just curious. Aw man THAT SOUNS AMAZING. I need to watch this like right now. "Jills gets dressed in her white wedding dress and Michelle sees her and says, "Derick is just gonna....."
IMPREGNATE YOU TONIGHT???? BECAUSE THAT'S WHAT HE DID. IF MY MATH IS CORRECT, WHICH I HAVE A COLLEGE DEGREE, from Texas Tech but that's neither here nor there THEN DERICK KNEW WHAT HE WAS DOING THAT NIGHT."